I make Paneer and Cheese very often at home. Home made is healthy and also tastes better than store bought. There is lot of Whey left. Whey is very nutritious and hence I use it in curries. I make different types of curries using whey. 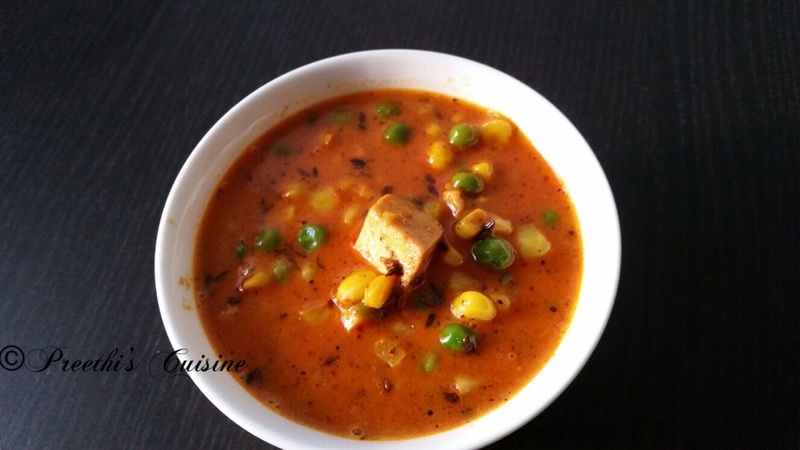 I will share one of the easiest recipe which hardly takes time to prepare. I love it anytime. 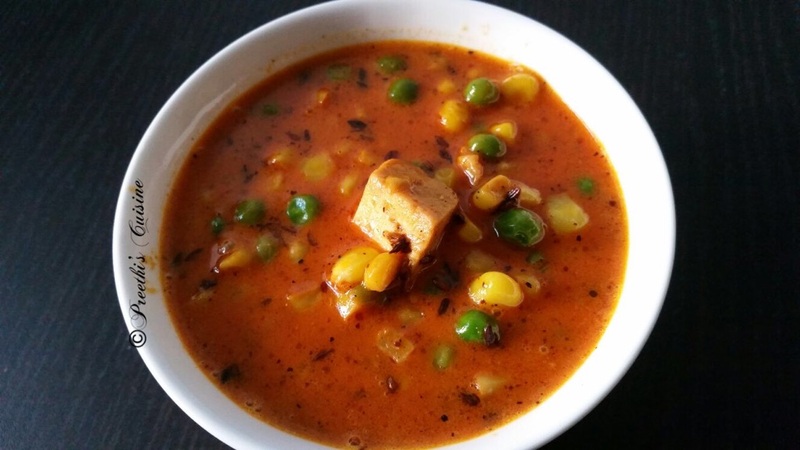 Heat 2 Tsp of oil in a wok.Add jeera,haldi and chilli powder.Saute for 2 secs.Add Corn,Peas and Paneer and mix well.Add kitchen king masala and whey.Let it boil well for 8 mins. Add salt if needed.